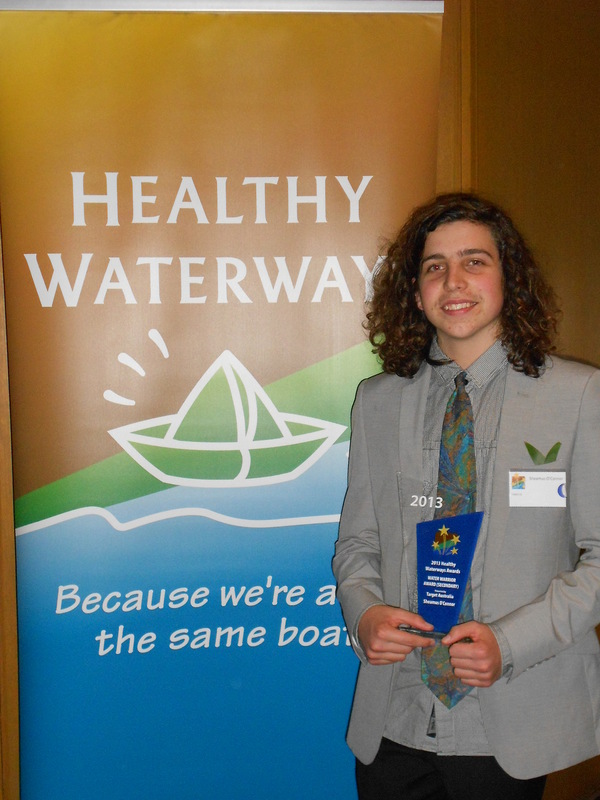 Congratulations to Sheamus O’Connor who received the Water Warrior Award (Secondary) at Friday’s Healthy Waterways Awards. Presented by Target Australia the award is open to to individual secondary school students who are undertaking activities that improve the health of our waterways and make a positive difference in our local communities. Sheamus is a passionate advocate for environmental sustainability, improving bushland and waterways in his local area. Sheamus became a volunteer and member at the Mt Gravatt Environment Group and Bulimba Creek Catchment in 2010, assisting with the bushcare group every Wednesday after school, and on weekend working bees along side other local residents and the Rotary group. 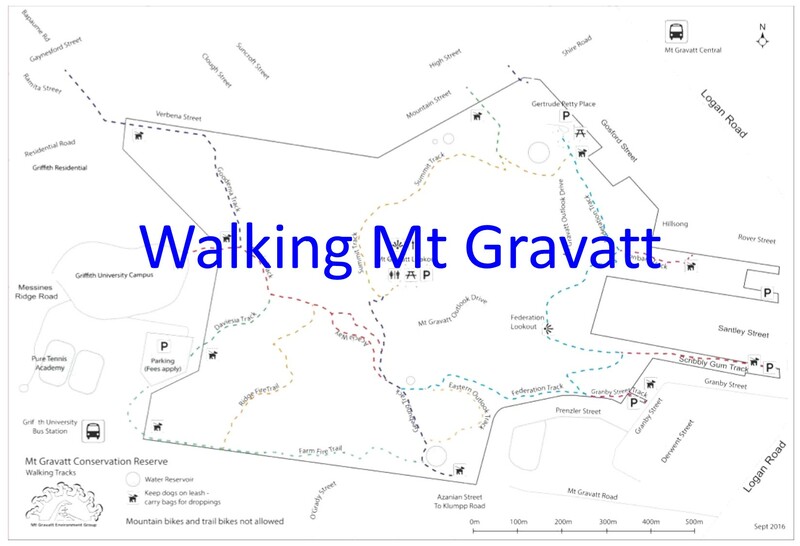 In 2011, on National Tree Day, he was responsible for organising 20 students, teachers and family members to rehabilitate the entry of the Mt Gravatt Summit track, in conjunction with the bushcare group. The area was quickly transformed from a weed infested eyesore into the makings of wildlife habitat. In 2012, he continued working in the area, training international and local students from Griffith University, and again organised a group of students to plant in the area for National Tree Day. Sheamus represented the bushcare group at the 2012 Lord Mayor’s Diamond Jubilee Walk tree planting in Victoria Park. Sheamus has participated in Clean Up Australia Day for several years, assisting with the Scouts who come along. He is very mindful that litter on the mountain makes its way into the creeks and degrades habitat for wildlife and explains this to the younger children. During 2011 and 2012, Sheamus has been a regular attendee at the monthly Open Days at the Bulimba Creek Catchment Sustainability Centre. He has the role of introducing or thanking the guest presenters, taking new people on a tour of the centre and has given a presentation himself about looking after chickens. He is very knowledgeable about native plants and assists others to make selections for their yards. Sheamus has also assisted the catchment group at an information stall for Green Heart Fair. He talked to many people about bushcare, looking after waterways, and plants to encourage native species in the home garden. In 2012, Sheamus was invited to be part of Council’s school holiday program, giving a presentation about chickens at the Holland Park library. The children were fascinated with his chickens and the information given about their habits and needs. His concern for the environment has extended to his own home, where the O’Connor family now uses many sustainable living practices.He has constructed fruit and vegetable gardens, a compost bin, worm farm and chicken coop, recycling as much waste as possible into the garden. The native gardens provide habitat for the endangered Richmond Birdwing Butterfly as well as the usual animals found in urban backyards. He even persuaded his parent’s to install solar panels. Sheamus’s efforts have been recognised by the Lord Mayor’s Young Citizen of the Year in 2012 and Quest Newspaper’s Young Star Community Award in 2012. In 2011 he had the opportunity of meeting the Premier, and he took the opportunity to explain his outlook on the environment and the importance of people acting now to protect natural areas for the future. Sheamus is a passionate advocate for environmental sustainability and has just begun an Environmental Course at Griffith University. He is not only an articulate spokesperson for future generations, he is recognised for his personal contribution to the restoration of Mt Gravatt Conservation Reserve.